Our team consists of a highly qualified Plastic Surgeon, Cosmetic Injector, Registered Nurses, Beauty Therapist, Dermal / Laser Therapists with years of experiences! Melinda is a Registered Nurse with over 16 years experience in the cosmetic and beauty industry. Starting as beauty therapist, salon manager and National Clinical Trainer before pursuing a clinical career as a Registered Nurse. Melinda has worked in some of the cities highest profile clinics with cosmetic and plastic surgeons. Melinda prides herself on the in depth analysis of the individual client concerns and facial aesthetics. Melinda tailors a customized rejuvenation program to achieve aesthetically pleasing results. This leads to a more radiant and confident you. The combination of her extensive knowledge of skin, medical grade skincare, non surgical anti-aging therapies and aesthetic cosmetic injecting ensures she will work with you to develop the best total beauty plan to suit your lifestyle. Melinda thrives on knowledge and seeks to update her skill set by attending international conferences and seminars. Keeping up to date with the latest state of the art equipment, technologies, techniques and product choices. Her continual quest for perfection, passion and dedication ensures the delivery of safe, effective and natural results. 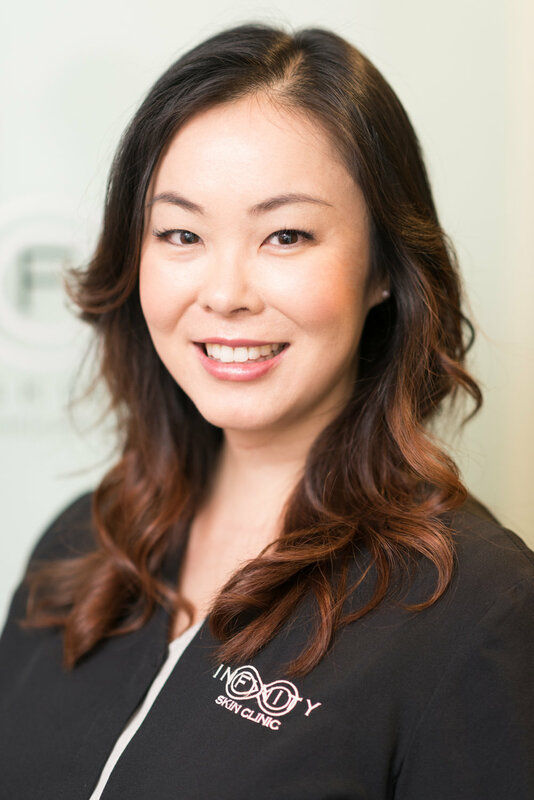 Janice has been a cosmetic medical nurse with Infinity Skin Clinic for over 8 years, specializing in aesthetic injecting for the last 5 years. With ongoing education Janice has extensive knowledge and experience in a wide range of lasers and other non-surgical anti-aging treatments. Janice graduated from Charles Sturt University (Bathurst) and has been working for the last 17 years as a Registered Nurse, initially in acute care recovery rooms, of several major Sydney Hospitals, before specialising in Aesthetic cosmetic nursing. Janice recognises each client as a unique individual and will tailor skin care treatments and a beauty plan accordingly. She prides herself in enhancing natural beauty and restoring a natural look. Her caring manner when treating clients ensures she is in high demand. Adriana Martins is a Cosmetic Nurse Specialist who commenced in the field of Cosmetic Medicine over 14 years ago working as a clinical trainer to doctors and nurses for the leading manufacturing company of muscle relaxants and fillers. Having commenced as a Clinical Nurse Specialist in the Intensive and Critical Care arena, she pursued her passion for knowledge and clinical skills following her own personal journey into slowing the ageing process. She was privileged to have acquired her skills from international and national experts in the field and maintains abreast with industry and treatment updates by regularly attending educational events. She is passionate about achieving natural results for her clients whilst always ensuring their safety comes first. Adriana believes in a multi-modality approach whilst being ethical, transparent and partnering with her clients by empowering them with knowledge so that they can make informed decisions for the best treatment outcomes. Her philosophy is: long term clients for long term results. 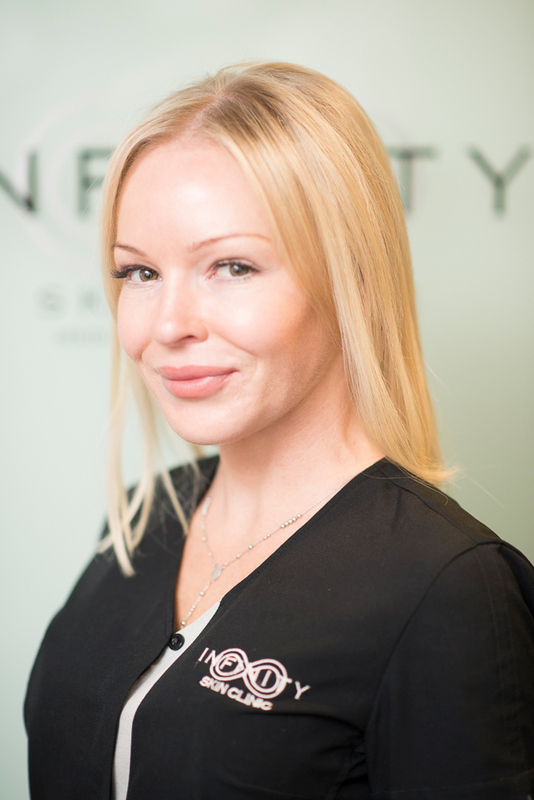 Vanessa has over ten years’ experience in the Beauty and Medispa industry. She gained her qualifications as a beauty therapist and then furthering her education when lasers were introduced to the beauty market, expanding her knowledge and training as a laser clinician. Vanessa is very passionate about skin and has extensive knowledge in all aspects of skin care and medical grade peels. Vanessa is currently studying a Bachelor of Health Science, Majoring in Nutritional and Dietetic Medicine, and this ongoing education is giving Vanessa extra tools and knowledge to treat the skin as a whole. Addressing her clients’ skin concerns and achieving opium skin health inside and out is an essential part of Vanessa’s treatments. Lisa has extended experience in the anti-aging, laser and medical aesthetician industry. She has worked in the tops clinics within the industry in Sydney and London alongside plastic surgeons and cosmetic doctors. Lisa has a vast knowledge of medical grade skin care and is fully accredited in all aspects of laser and non-surgical treatments. Lisa specialises in the Ultraformer skin-tightening, China Doll Facial, medical grade peels, and Hydrafacial and is particularly interested in active skin care. Her passion for helping people look and feel their best is immediately evident in her consultations. She will listen to your concerns and develop a treatment plan individual to you. Dr Jake is a UK-trained doctor who worked as a general surgeon in both London and Sydney. He rotated through a number of specialities including colorectal, breast and trauma surgery. He now specialises in cosmetic medicine and has over 10 years experience in injectables. Dr Jake first qualified in cosmetic injectable treatments in the UK in 2008. He was trained by Mr Adrian Richards (UK- leading Plastic Surgeon) and has attended numerous training courses led by the world's leading surgeons, doctors and aesthetic trainers. He quickly became known for his innovative style, excellent bedside manner and outstanding results. Alongside setting up his own brand, Dr Jake was head hunted to work in one of London's flagship clinics. Here he saw a high volume of international clients. In 2015 Dr Jake moved to Sydney and has built a loyal clientele across the city and beyond. He regularly sees interstate clients and is now sought out by celebrities who need ultra-subtle work. Dr Jake has distinguished himself as one of the country's most experienced users of the new fat dissolving injections for the double chin. He has also developed several of his own signature treatments including 'The Liquid Face Lift' and 'The Liquid Nose Job'. Dr Berger has been in General Practice principal for over 30 years, and has worked as a cosmetic medical practitioner for 15 years. Dr Berger has a particular interest in the careful, judicious use of Botox to achieve a subtle enhancement of facial features, achieving a "refreshed,relaxed" look that is far removed from the "frozen face" so often seen when Botox is used to excess. Dr Berger uses dermal fillers to achieve a similar result in lip and cheek enhancement and reduction of deep facial lines. Dr Berger also has an interest in helping patients with bruxism (teeth grinding), where other methods have failed, by using muscle relaxing injections to relax the muscles causing the problem. This technique is also very useful for patients who are concerned by enlargement of the masseter muscles that can lead to a "square" shaped face when an oval shape may be more desirable.